We first met at the National University of Rosario where we were both music students, and it was there that our music making as a duo began. 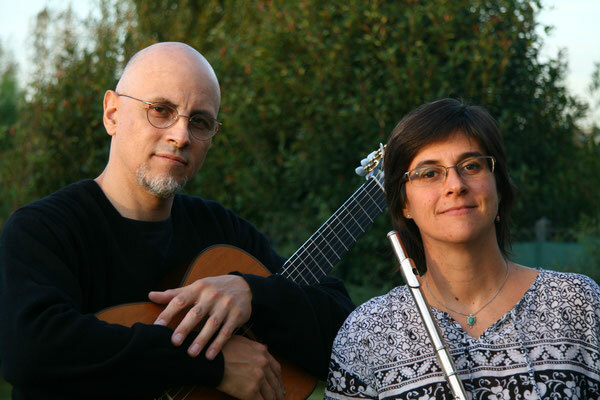 At that time, our musical identities were forming hand in hand with our choice of repertoire, and we increasingly played pieces rooted in Argentine and Latinamerican folklore. Since then we’ve traveled to and played in diverse places, sharing affection with those who have listened to us. And in the long hours of our rehearsals, between Argentine Tea (know locally as mate) and philosophy, our friendship has grown and expanded along with our shared pleasure of making music. 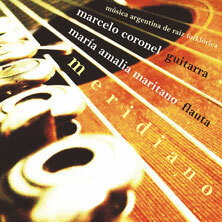 Our first commercial recording was released on a CD alongside several other artists from Rosario as a compilation. However, the work presented here remains and feels like our debut, because it is the first recording to be crafted entirely of our own conception, whose artistic direction and execution have been wholly ours. It has taken its time, but the finished article did eventually materialise and we are happy with the result. Through the shared experience of making the music presented herein, in its nuances, lights and shadows, resound the sounds of our own lives.